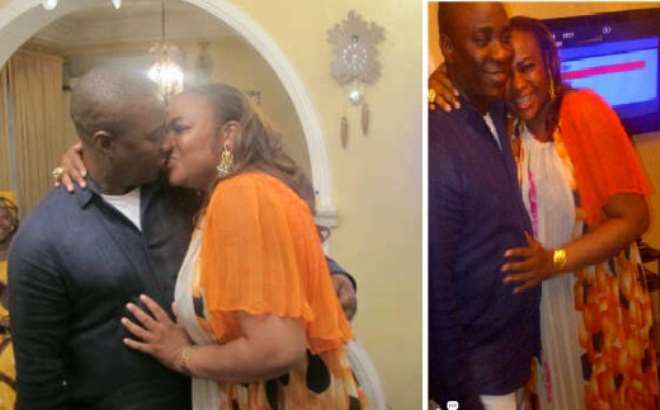 That Wasiu Ayinde Marshal otherwise known as K1 De Ultimate has impregnated his former wife's niece, Titi Masha has been a story on the lips of all and sundry recently but what you are about to read is the love lost between her parents and siblings. Recently, K1 was said to have organised a baby shower for the expectant mother in Lagos, an event that was said to have left a few of their friends amazed. Her parents were said to be the worst hit by this startling revelation. Mum is the word, from their end. Her mother, Mosun Masha, is alleged to have severed communication with her at the moment, while her siblings have also kept their distance from her. And while K1's fans and friends were still absorbing this news, a baby shower was held on Friday, October 19, at the Oriental Hotel, Victoria Island, Lagos. It was gathered that K1 had wanted to cancel the party when the scandal broke out, but Titi pleaded with him that she had gone headlong in the preparation. Eventually, he agreed but gave a proviso that pictures would not be taken at the party. To prove the severity of his warning, K1 was reported to have stayed at the party venue and kept a close watch on the guests. He was alleged to have threatened to smash any camera or phone that could be used to capture the event. This was said not to have gone down well with Titi, and she sulked and complained to her friends throughout the party. The pretty lady's hope of keeping the memory of the event stored in pictures and video was deflated.